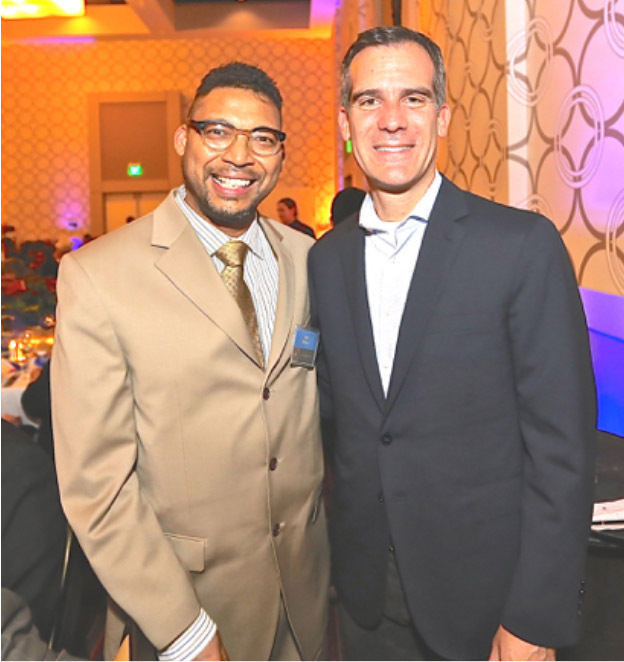 Chef Mick Brown meets Los Angeles Mayor Eric Garcetti at Retirement party for Charley Mimms in February 2015. LOS ANGELES- Just in time for May- National BBQ Month, Los Angeles BBQ Chef Mick Brown has recently competed on Food Network’s Cutthroat Kitchen. Appropriately titled “Grill or Be Grilled”, the Special Edition of the show will name Cutthroat Kitchen’s very first BBQ Grill Master. Hosted by Alton Brown, with guest Judge Simon Majumdar, the program will be aired on Sunday May 31st (7pm PST). One of the highlights will be somebody feeling the heat while being tied to a rotisserie. Chef Mick Brown with Reality star Janine Jarman at the Best of Hairroin Salon in 2013. A Chicago native, Chef Mick Brown has called Los Feliz, CA. his home for over 20 years. 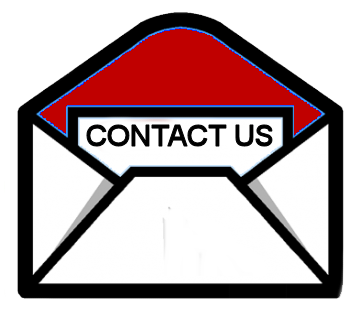 He is known for helming Los Angeles based caterer Tastee BQ Grilling Co. since 2011. The company has catered everywhere from LA to Palm Springs, to New Orleans. In 2013, he expanded into producing spin-off California Gold BBQ Rubs. The brand’s current offering is a no salt/ no sugar BBQ Rub called HEROIC! The gluten free blend is available on Amazon.com, locally at Marconda’s Meats and Puritan Poultry, Baller True Value Hardware, and in San Diego at Keil’s Food Stores. Known to many residents of Los Feliz and Silver Lake, Chef Mick has been active in various community activities. A committee member of the Los Angeles Economic Development Network, he has also done cooking demos at American Cancer Society’s “Relay For Life” in Griffith Park, Franklin Hills Residents Association Picnic fundraisers and at the Boys and Girls Club of Burbank. He has also done demos at The Gluten Free Allergy Food Fest in San Diego and lectured on Healthier Grilling at the Los Angeles Garden Club. One of his most exciting experiences was a turn as guest Sous Chef at the New Orleans School of Cooking. 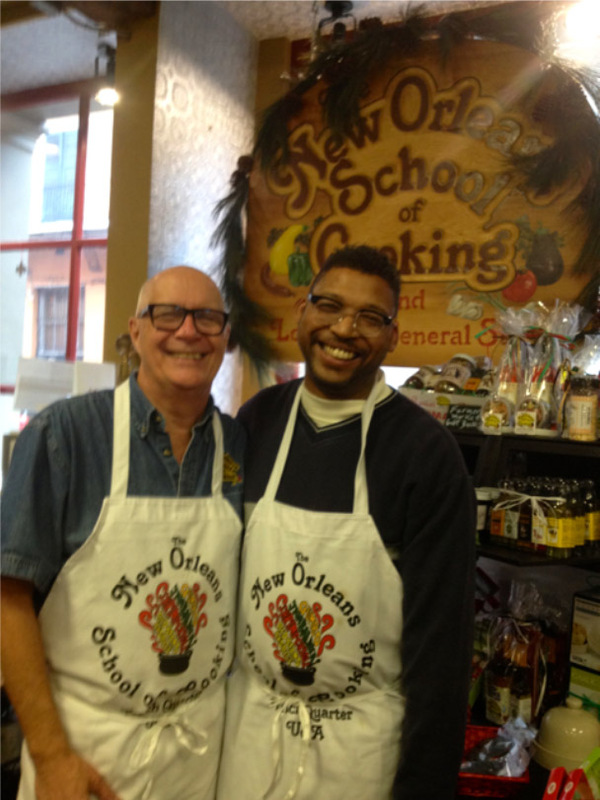 Chef Michael Devidts with Chef Mick at the New Orleans School of Cooking in 2014. When he isn’t cooking or giving Private BBQ Lessons, Chef Mick likes to write blogs about BBQ and share Grilling Recipes online. He is the author of serial short story blog The Adventures of TasteeBQ. He explores personal culinary experiences in the blog BBQ Catering Confidential, as well as insights into running a small business. He briefly appeared on last season’s Frankenfood (Spike TV). Cutthroat Kitchen’s “Grill or Be Grilled” will be his first appearance on the Food Network. Visit Chef Mick and wish him Luck at a special Food Tasting sponsored by California Gold BBQ Rubs from 11:00 am to 1:00 pm on Sunday May 31st (the day of the show). You can also get autographed bottles of HEROIC! Rub. Location: Marconda’s Meats and Puritan Poultry at Hollywood’s Original Farmer’s Market, 6333 W. 3rd St. (at Fairfax Ave.). For more Info, visit: www.TasteeBQGrilling.com, www.FoodNetwork.com or www.CaliforniaGoldRub.com.